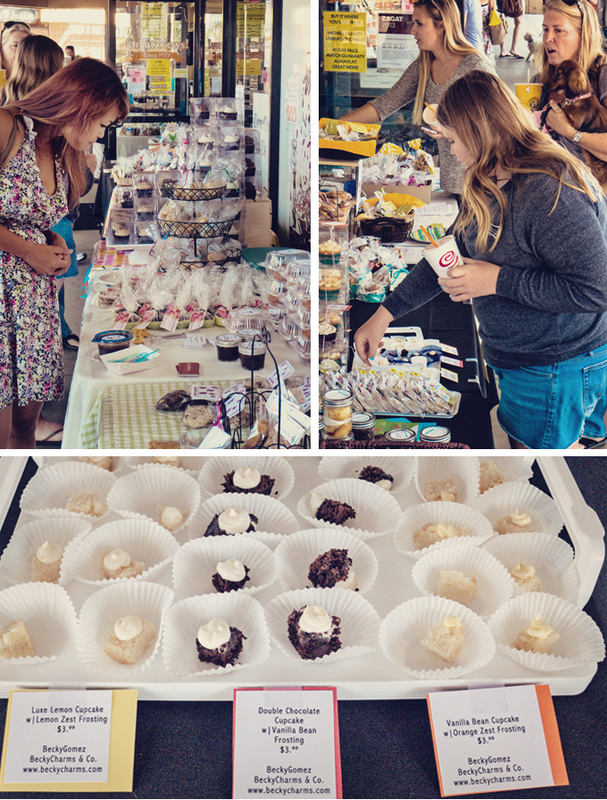 I want to thank everyone who supported this year's San Diego Food Blogger's Bake Sale. The sale is over and we're awaiting the final tally but so far, it looks like we surpassed last year's efforts in raising money for Share Our Strength/No Kid Hungry. Whoo-hoo! My tall display was actually a shower caddy I happened by while shopping at Ross. It was perfect! Besides having a small footprint, it's height made it stand out. I got a lot of compliments on it and considering that I paid $7 for it, it was a steal compared with the wire baked goods displays so many of the gals had. 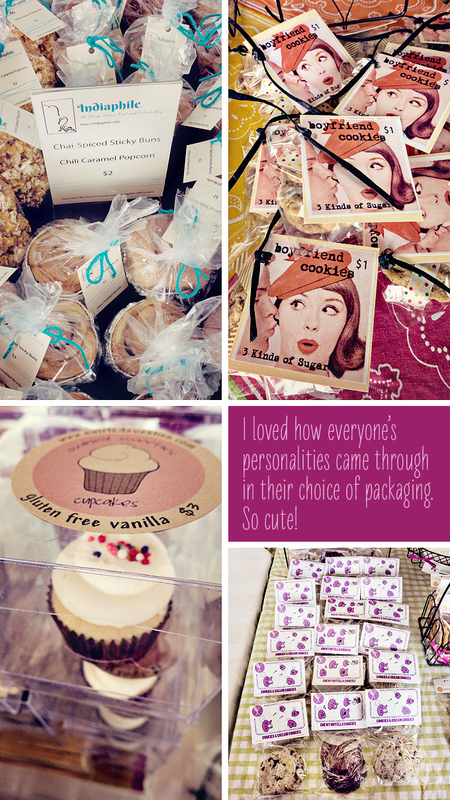 Personally, I did much better than last year as this year, I sold out of all my goodies halfway through the sale. Yay and thank you! I think my choices this year were much better. Last year's cupcakes didn't sell much (I made MY favorite red velvet which weren't as popular as the competition's chocolate/chai/mocha/green tea flavors...). Ditto the double chocolate chip cookies or peanut butter cookies. I came home with a good 1/3 of my baked treats. They all went in to work with me that following Monday much to the delight of co-workers. My biggest hit this year was definitely the doggie biscuits. A good thing since they made up nearly half of my inventory. They were the first item to sell – pretty much selling themselves. The first thing to sell out was the Mexican Chocolate Pistachio Biscotti. I will be making more soon as I didn't even get to enjoy one with my coffee this time around! Again this year, Auntie helped with the packaging. I loved my packaging this year as I was able to keep it consistent with my blog branding and because I was on vacation, I even had time to finally make matching business cards on beautiful 100% recycled paper (thanks Moo!). Our fearless leader for the San Diego Food Blogger group, Marie of Meandering Eats, will be leaving San Diego this summer as she heads to the midwest for med school. We'll miss her organizational skills and her upbeat motivational emails leading up to the sale. Thanks for all you've done to make the event successful and enjoyable for all of us who participate, Marie! You'll be missed! Pumpkin is great for digestion. The garbanzo bean flour as well as being gluten free, is also a good source of protein. 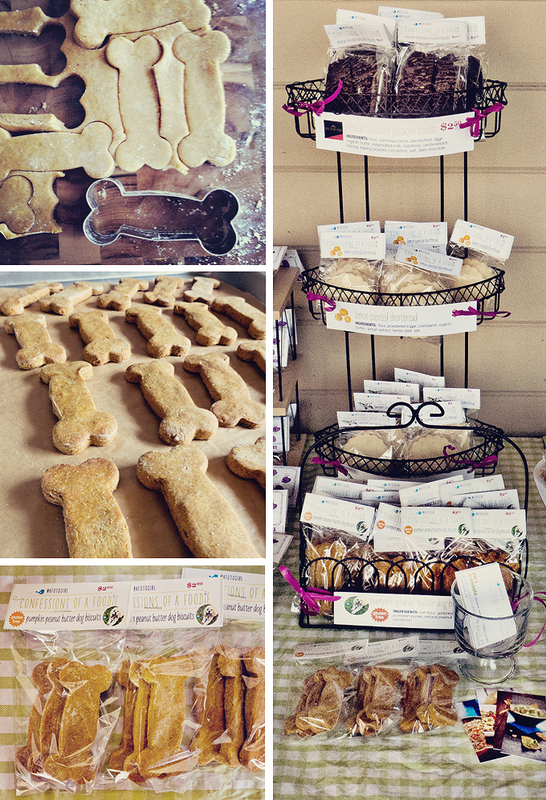 Keep these treats as healthy as possible by using natural peanut butter so you're not adding processed sugar to your dog's diet. Place two oven racks on the top and bottom thirds of the oven. Preheat oven to 350 degrees Fahrenheit. Line two rimmed baking sheets with parchment paper. Set aside. Whisk together the flours and cinnamon in a large mixing bowl. Place the pumpkin, peanut butter and eggs in a second bowl and use a wooden spoon to mix vigorously, combining well. Add the wet ingredients to the dry ingredients and mix to incorporate well. Turn out the dough onto a lightly floured surface and knead to form a ball. Divide the dough in half and form two balls of dough. Flour your rolling pin and roll ball of dough to about 1/4 inch thickness. If dough is still a little sticky, you might need to flour your pin often to keep dough from sticking to pin. Dip your cookie cutter in some of the oat flour, shaking off excess. Firmly press cutter into dough. If the dough gets caught in the cutter when you lift, gently pry it out from the cutter and place on your baking sheet. Repeat until all dough is rolled, cut and on the sheets. Depending on the size of your cutter, you should be able to get twelve cookies onto each baking sheet with the cookies placed 1/4 inch apart. Dip a fork in some oat flour and prick once in the center of your cutout cookies. This will ensure that the cookie stays flat while baking. Plus, I think it adds a decorative touch. For a semi-soft cookie, bake for 25 minutes. For a harder biscuit, bake for an additional 10 minutes. Storage: Softer cookies can be stored in an airtight container at room temperature for 3-5 days depending on warmth of your home. Store cookies that won't be eaten right away in the refrigerator for up to 10 days. Freeze for up to 3 months. Harder cookies can stay at room temperature for 2 weeks, in the refrigerator for a month and in the freezer for 6 months. If freezing, be sure to thaw completely before feeding to Fido. 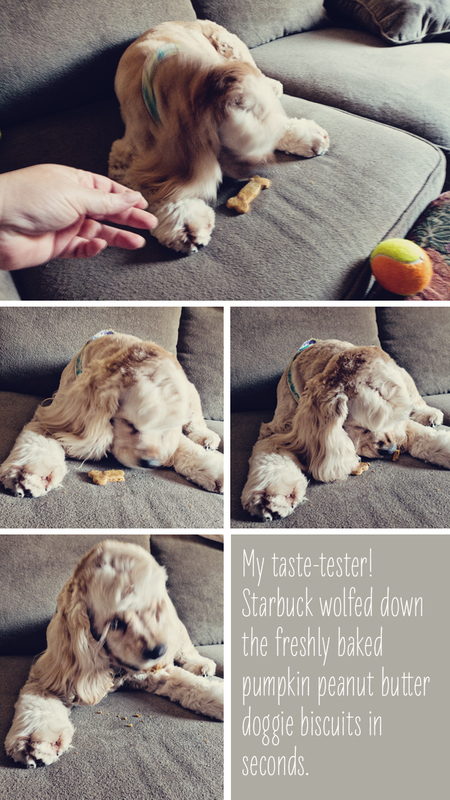 My dog loved the treats you made! That was a brilliant idea to make treats for the little furry ones. I still love your idea for using the shower caddy. It was elegant, pretty and very creative. It was great seeing you again this year at the sale!